As a homeowner, you are forever juggling your busy schedule. And, home maintenance concerns can put a strain on the home dynamics. If you are in a dire need of a new driveway, there is no escaping it. 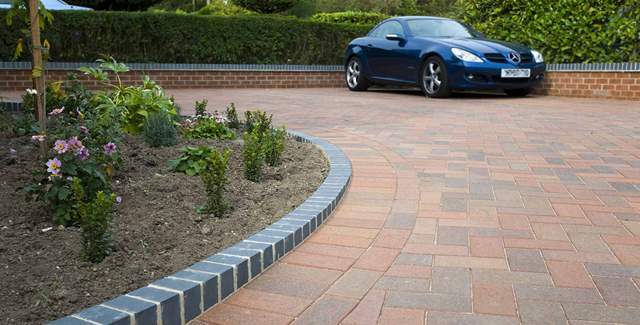 If you have decided to install a driveway, you have to make a decision regarding the material. Do you want asphalt or concrete? Both have their obvious strengths. But, it is essential to remember that concrete looks great and it can last for 30 years. The only thing is that it needs to be installed, finished and cured properly by an experienced concrete contractor. It should be the goal of the concrete contractor to install a concrete driveway in such a way that it minimizes the potential for cracking. It is a common knowledge that it needs to be poured over a stable and hard surface. And, by constructing the driveway properly with expansion joints and reinforced steel, it will be able to withstand a whole lot of traffic. With the marketplace flooded with concrete driveway installation companies, how to make sure that the job is done perfectly? Answer: Hire the perfect contractor to execute the project. How to hire the Perfect Concrete Contractor for Installing a Driveway? As a homeowner, it is essential to get educated regarding the installation project. Also, find out about the scope of work and understand what the job entails. Contact as many contractors and get quotes for the project. Surf the web to your heart’s content. Do your research and have a basic understanding of the concrete driveway. In the end, you will have a wealth of knowledge at your disposal, and you will find the perfect contractor to execute your project. In Toronto and Greater Toronto Area, Pour Concrete, and its team of professionals can install a perfect concrete driveway that you will be proud to drive on, and proud to call your own. With the new concrete driveway, it will add new curb appeal that your home was forever missing.